Monarch Air Group provides private air charter in Burbank, CA. Our clients benefit from top-notch service, unrelenting dedication to safety, wide selection of aircraft, and years of experience in chartering private jets. To obtain a free quote, please use our online quoting tool provided below, or call toll free 1-877-281-3051. Monarch Air Group provides private jet charter flights in and out of Burbank, California, USA. 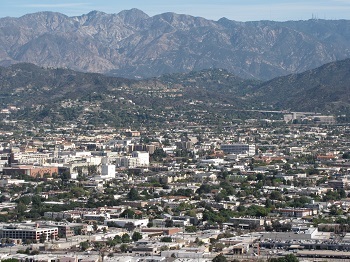 Burbank is a city situated in the San Fernando Valley, just outside of Los Angeles. Burbank is a home to many media and entertainment companies, such as Warner Bros. Entertainment, Warner Music Group, NBC Universal, the Walt Disney Company, Cartoon Network, the Public Broadcasting Service and Viacom, hence it’s named as “Media Capital of the World”. The city offers many interesting tours, famous sites, wonderful parks, live theatres, playhouses, and musical ensembles. The most popular tourist attractions are Disneyland or Knott’s Berry Farm, Hollywood Walk of Fame and Sunset Strip. You can take a drive to Beverly Hills and visit Rodeo Drive for some decadent shopping. Being a great place for people who like to be outdoors, Burbank has tennis courts, swimming pools, bike paths, picnic areas, hiking trails, and numerous green spaces. 1. Portofino Inn Burbank CA, 924 West Olive Avenue, Burbank. 2. Burbank Extended Stay Inn, 2021 West Olive Avenue, Burbank. 3. Holiday Inn Burbank-Media Center, 150 East Angeleno Avenue, Burbank. 4. Portofino Inn Burbank CA, 924 West Olive Avenue, Burbank. 5. Hotel Amarano Burbank, 322 North Pass Avenue, Burbank. 6. Coast Anabelle Hotel, 2011 West Olive Avenue, Burbank. 7. Burbank Extended Stay Inn, 2021 West Olive Avenue, Burbank. 8. Hilton, 555 Universal Hollywood Drive, Universal City. 9. Sheraton Universal Hotel, 333 Universal Hollywood Drive, Universal City. 10. Holiday Inn Burbank-Media Center, 150 East Angeleno Avenue, Burbank.